Home / Information Center / Frequently Asked Questions / What Should I do if I’m in a Car Accident? If you are in a car accident, there are some things you can do to protect yourself against any lawsuits that may arise from the incident. First, make sure you, and anyone else involved in the accident, is safe and call for medical assistance if needed. If you cannot get out of your car, wait for assistance to do so. If you can get out of your car, it is important to stay with your vehicle. This may be a safety issue, depending on the situation you are in, whether the area is dangerous or there is heavy traffic or other dangerous materials around you. Additionally, do not leave the scene of the accident before the police arrive or before exchanging information with the other person (or persons) involved in a minor accident. 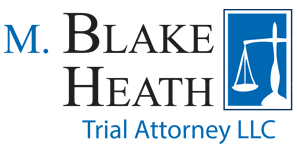 If you leave and someone was injured or killed you may be charged with criminal “hit and run” penalties. The police should be called if the accident involves significant property damage, physical injury or death. Once the police arrive, ask the officer to file a police report and obtain the name and badge numbers of any police officers on the scene. You should also talk to the drivers of any other vehicles involved in the accident. Get their names, phone numbers, addresses, drivers’ license numbers, license plate numbers and basic insurance information. If there are passengers in any of the vehicles, obtain their names, telephone numbers and addresses as well. If there are witnesses at the scene, you may want to ask them what they saw and obtain their contact information, if possible. It is important when talking to other persons in the accident to be cooperative and exchange contact and insurance information, but do not admit fault or apologize for the accident itself. Lastly, you should not talk to anyone about the accident other than your attorney, your insurance company and the police. Do not talk to a representative of another insurance company without the knowledge of your attorney or your insurance company. If representatives from other insurance companies should call you, ask them to call your attorney or insurance company to arrange for an interview. Also, get the representative’s name and number, and tell your insurance company or attorney that someone seeking information about your accident contacted you.